Admission is free. Reservations required. RSVP beginning Wednesday, January 3, at 9 a.m.
Women of color have long been at the forefront of community building and social activism through the arts. 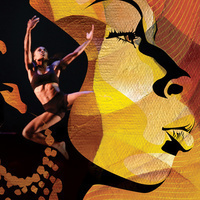 Dance companies, music ensembles, theatre troupes, and other arts groups led by women of color have worked in distinctly collaborative, intergenerational ways to not only preserve their cultural heritage but also build vibrant, healthy, and engaged communities. Join us for two interactive events—a conversation and a dance flash mob—celebrating the powerful role that women of color arts leaders have played in building communities and promoting social change. Immediately following the conversation, Los Angeles–based Viver Brasil Dance Company will lead participants in a procession from Doheny Library to the Ronald Tutor Campus Center Grand Ballroom for an exciting and interactive dance event. Presented by USC Visions and Voices: The Arts and Humanities Initiative. Organized by Ken Foster (Arts Leadership), Rosalind Connerly (Center for Black Cultural and Student Affairs), and Tamica Washington-Miller (International Association of Blacks in Dance).